As Ofwat reports today on water companies’ response to the Big Thaw, Sam Dickinson reflects on what we learnt from the social media response at the time. er and wastewater suppliers or including certain relevant hashtags from 5 March – more than 6,500 in total. Any review of social media interactions is inevitably going to uncover negative views but it’s worth noting that an appreciable number of people took the time to thank the companies and their staff for their hard work and dedication with some staff working all day and all night, often in sub-zero conditions. Ofwat, with the Consumer Council for Water, has comprehensively addressed the water companies’ responses in its review. However, perhaps the most pressing lesson to learn from the ‘Big Thaw’ is to consider how our resilience can be improved by new technology in the future. We analysed our tweet sample for what we will call ‘micro-component grumbles’: specific mentions of the effects of supply disruption on particular appliances or applications such as washing machines, toilets, bathing and food preparation. Obviously individual resilience measures and alternative supply sources cannot be used in place of potable water for drinking and food preparation. Instead we focussed on applications where alternative supply sources, such as rainwater harvesting, could be employed for toilet flushing or clothes washing. This type of application received considerable attention in our sample of tweets with a number of people finding the inability to flush their toilets or the need to use bottled water to do so particularly problematic. As some correctly noted, there is no need to use drinking water for this: using alternative sources would not only provide resilience and hygiene benefits during supply disruptions but also improve water efficiency year-round. Some of the tweets reviewed suggested that as customers passed 48 hours with no water, Thames Water staff began recommending the use of water from fish ponds or water butts for toilet flushing. Good idea. In our tweet sample we identified a few hundred micro-component grumbles relating to various appliances and applications specifically. When filtered qualitatively for relevance and those for which alternative supply sources could have mitigated the impact, around 100 discrete examples remained. Toilet flushing was the most commonly mentioned micro-component grumble with the unsanitary results of not being able to flush causing considerable concern. Well over 60% of the specific micro-component grumbles concerned toilet flushing or related issues. The remainder largely had to do with the washing of clothes or basic bathing requirements. It is clear that the extreme weather and resulting ‘Big Thaw’ experienced at the start of March caused significant issues for the country, affecting hundreds of thousands of people and the broader economy as well. Our review was a timely reminder to appreciate the hard work and dedication of the staff who worked tirelessly to restore service, distribute bottled water and keep customers informed. Some issues were unavoidable whilst some could have been managed better with better planning. However, there are things that can be done to improve resilience and mitigate some of the impacts. 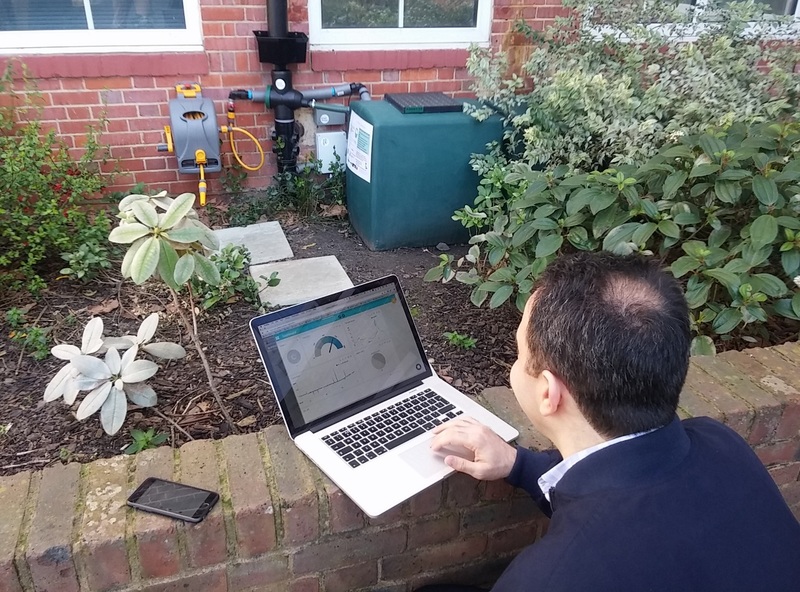 Domestic rainwater harvesting systems can provide enough water to run washing machines and flush toilets even when mains supplies are unavailable, providing at least some comfort which could have addressed numerous complaints in the tweets we analysed. This would also have reduced demand on potable supplies at a time when water companies were struggling to meet demand. Our systems are also designed to ensure they do not freeze even in the face of the Beast from the East. Of course, rainwater harvesting would also provide benefits year-round, reducing water consumption by something in the nature of 50% per person (if used for toilet flushing and washing machine operation). Thanks to recent innovations, rainwater management systems can now offer all these benefits plus the ability to attenuate or reduce stormwater discharge during heavy rainfall, reducing the incidence of urban flooding and pollution. Our mission is to see a world where rainwater management systems provide all of these benefits and potentially make the next ‘Big Thaw’ a little less disruptive.